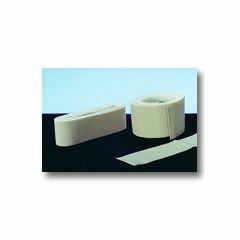 / Strapping / Universal Econo-Strap 4"
Universal Econo-Strap 4" x 72"
AliMed Universal Econo-Strap 4" x 72"
Universal Econo-Strap Adjustable straps are looped under the table pad or extension and around the patient. Knitted, hook and loop loop is comfortable against skin. No metal hardware. Radiolucent and artifact free. Great when straps need to be replaced often.